You already know that your utility bills are high. 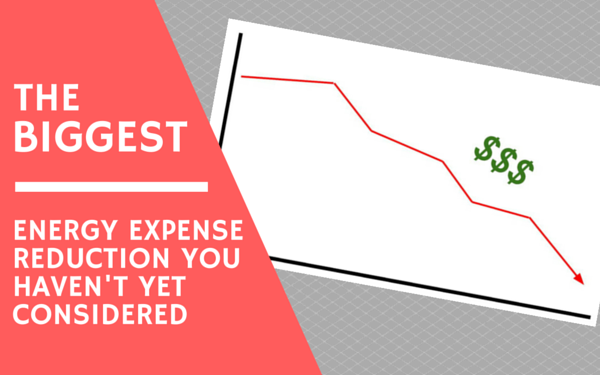 Despite your best efforts at keeping thermostats tuned to an efficient temperature and turning off non-essential lights and equipment after hours, energy continues to be one of your largest business expenses. There are many ways you can get your organization to curb energy usage including using gadgets or technology, such as programmable thermostats and motion-sensing light switches. Other methods are passive, such as applying solar film or other window treatments to reduce cooling costs. Commonly, organizations go on a campaign to raise awareness of energy efficiency or make small investments in “Going Green”. Where these types of campaigns tend to fall short is in the area of precision. Generic energy saving methods are often applied without consideration of the potential savings. If your organization has multiple facilities, do you have an understanding of which facility is most and least efficient? Chances are you’d apply the same cost-saving measures to each location without consideration of the varying cost saving opportunities that lie within each office. The reality is though, even if you’re precise and deliberate about your energy saving upgrades, most investments take several years to achieve a positive return on investment. There is a lurking issue indirectly related to energy usage that is costing your organization at least tens of thousands, and possibly hundreds of thousands of dollars. This issue is pervasive in almost every organization. Most people consider it a fact of doing business, but the truth is, this is completely avoidable. This entire process for each payment can cost up to $17-$19. To make matters worse, you have no insight from the bill. If there is a spike in energy costs, you probably won’t know it for months – until the next budget reconciliation. Seeking out a way to compress internal processing costs while also getting immediate and actionable data about your energy usage seems like a no-brainer, right? This is exactly what we deliver with our BillPay solution. BillPay is an automated invoice processing solution that provides quick and accurate reporting for each property. Data from utility bills is parsed out so you can report on just about any single metric you can imagine. For example, what was the electricity cost per square foot for Building A vs. Building B? Or, how much did late fees cost in Building A vs. Building B? BillPay offers a quick ROI by decreasing operating expenses while also providing simple and actionable reporting. Learn more about BillPay.